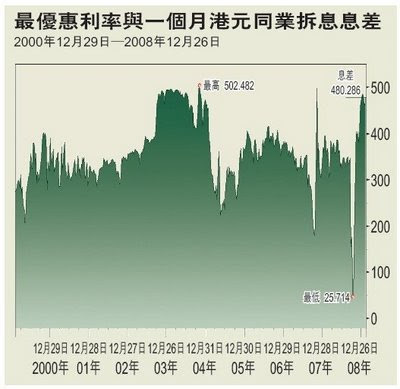 當然hibor 會比較波動 但係渣打做hibor 係有ceiling 既 大概最多係P-2.x% 所以呢個risk已經bounded. You have made a wrong comparison. There is an interest component and a principle repayment. In your 5178 payment of prime plan, the roughly interest payment is 1875. And in your 4600 Hibor plan, there is a 833 interest. The interest expenses is more than double. It is far more higher than 12%. However, the lock out period is tricky and the rebate term is also tricky. It's just a very rough calculation to illustrate that even a small reduction in interest rate have a big impact on monthly expense. 但hibor 就冇得set定額供款, 只可以set年期, 如果你set年愈短,每月供款就愈多,不過就還少o的息, 但每月個amount就多o的. 出面o的經紀之前話供平過租, 其實佢地係用最長的還款年期計==俾多o的息!!! 就可能2500 /2000 供本金 2500 / 3000 供息.....係咪咁ga? 3m 比1m hibor 高一倍, 不過3m hibor 又相對穩定o的. 其實兩間都錯唔多. 比我簡我會take bank B, 一個月hibor. 因為低息唔會維持好耐, 一年後都會預佐Lump sum 咁還 bank b penality 好似少o的 不過你提個個係味full payment penality 有冇partial payment penality? dbs hibor plan 更, 不過唔知佢借幾多同幾耐還!! 如果云經絡referal, 唔好間間行都云, 留反幾間自已云,可以比較下..
What is the cap for DBS H plan then? What is the CAP for DBS H plan? 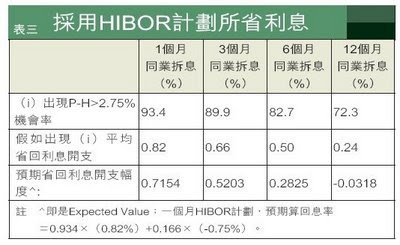 cap P-2.5%, i think the plan is quite good..
i ask several branches of charter bank today, and all of them reply that the HIBOR plan and the cap are compared every month and see whichever is lower wor... seems different from what u mentioned that the cap will be charged thereafter whenever the HIBOR exceeds the cap. So which one is true? Anyone can clarify??? 問過渣打. 改佐policy, 用hibor 而家每個月都同cap計一次, 邊個平用邊個, 用以前唔同. 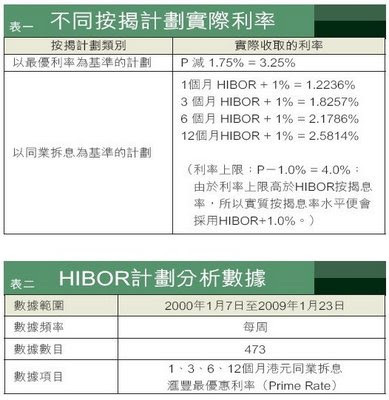 如果hibor keep 住而家咁,最多半年已經賺反個cash rebate. 如果hibor 個cap 愈低更加好. admin fee: 0.65% x 3 yrs. The P rate of all banks is 5.25% now. By the way, which solicitor company is better and cheaper for re-mortgage? bank a, i think it is dbs. 同一年通常都唔會full payment. bank a is ok wor. 假設幾間銀行的HIBOR +0.7, 如要比較CAP的話, 是否CAP P-2.8(P=5.25),會較P-2.5(P=5)優惠? 因將來P升的話, -2.8的話減幅會較大? 「輕柔雅緻」主題. 主題圖片由 imacon 提供. 由 Blogger 提供.